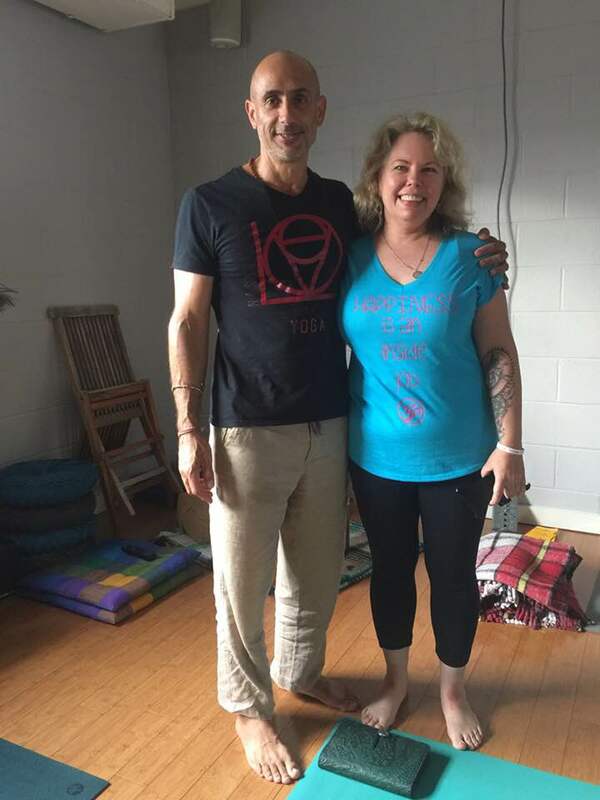 Mas came to Nashville to share the combined power of Yoga and Ayurveda. In the workshop, we explored the uses of asana and pranayama to cultivate rasayana: which means path of essence. It is a longevity practice designed to strengthen, relax and balance majja dhatu (nervous system). We practiced and discussed the uses of mantra and learned the Ayruveda oils used on the body to promote asana practice. The response to these practices is a deep state of relaxation and awareness. To learn more about Mas Vidal, check out his website, Dancing Shiva. To enjoy classes with Cassandra, watch for her appearances on the 4yoga schedule, offering everything from Flow to Yin. In fact, she is substituting for Cre both on Saturday, November 18 (9 a.m. Basics class) and on Sunday, November 19 (8:30 a.m. Spiritual Warrior class), so you have two extra opportunities to practice with her this weekend! This entry was posted in benefits of yoga, purpose of yoga, Training Thursdays and tagged Cassandra Cantrell, Liberation Nashville, Mas Vidal, november. Bookmark the permalink.